Composer,pianist and songwriter Brenda Warren brings to her original instrumental pieces an improvisational approach featuring elements of classical, pop and new age music. She began playing piano at age four and at eight years of age she entered the Detroit Conservatory of Music. After graduating from San Francisco State University with a Bachelors Degree in Music she began performing solo piano concerts throughout the Bay Area. 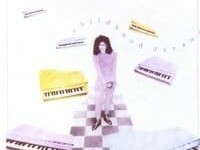 She was profoundly inspired by Keith Jarrett’s solo piano improvisations on “The Koln Concerts”. When her first album “Childhood Dreams” was released on Priority Records it received airplay on radio programs thoughout the world and many pieces were featured in various tv programs and documentary films. Her second solo piano release “As Years Go By” is featured in two documentary films for PBS. Several pieces from this album are included on “Piano Zen” and “Baby Chill” two compilation CD’s released in Europe. Brenda composed an original score for the documentary film “The Spirit in Architecture”. 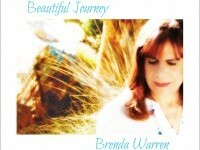 “Beautiful Journey” is Brenda’s third solo piano release with instrumentation. It’s produced by Will Ackerman and recorded at Imaginary Road Studios featuring Eugene Friesen (cello) Charlie Bisharat (violin), Premik Russell Tubbs(sax, wind synth) Tony Levin (bass), Michael Mannring (fretless bass), Jill Haley (English Horn), Tom Eaton (bass), Jeff Haynes(percussion). Brenda’s music is described as “introspective”, “soothing” “joyful”, “healing” and “quite gorgeous”.